Historically, the Super Bowl has been one of the most viewed telecasts of the year. According to The Nielsen Company, five of the six most watched prime-time telecasts of all time in the U.S. were Super Bowls. In fact, the last four Super Bowls played (2008 to 2011) are on this list. And, there is no reason to believe that this year will be any different. This year, it looks like many brands are going to take advantage of this opportunity during the Super Bowl. For some brands, this could be as simple as requesting that viewers visit their website, Facebook page or their page on any other social networking site out there. Other brands have taken it one step further by partnering with companies that own certain smartphone apps to help facilitate the interaction. Hopefully, this will enhance the experience that viewers have during the Super Bowl. In order to participate in the experience that the advertisers intend to provide, viewers are going to have to be aware of what they need to do and have the right tools at their fingertips. However, several brands will be taking advantage of the fact that many people will have access to a smartphone or tablet computer during the game and have partnered with companies that own certain apps to help drive viewers directly to a specific landing page or possibly provide them with an in-app experience. Shazam and IntoNow are two of the apps that viewers might want to download to their smartphones or tablet computers before the Super Bowl begins. 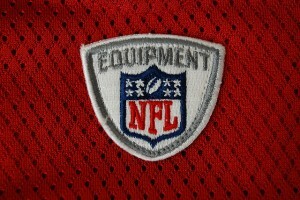 Other apps that could possibly come in handy during the Super Bowl include Facebook, Twitter, Foursquare, and GetGlue. There are also apps available that will allow people to watch the game on their smartphone and others that are dedicated to letting people watch and rate the commercials before, during and after the game. The Super Bowl is one of the most watched telecasts in the U.S. each year. For many people, especially those who are fans of teams that aren’t participating in the game, the commercials might be more important than the game itself. This year, several brands will take advantage of the fact that many people will have their smartphone, tablet computer or laptop in front of them during the game. These brands will be asking viewers to continue the conversation online or within smartphone or tablet computer apps. In this post, I’ve linked to a few articles and blog posts that provide people with additional information that might be helpful to them before, during and after the game. I also plan to tweet links to some additional articles and blog posts this weekend. Please feel free to follow me on Twitter at: @sunbeltbadger. Also, if you hear of something that is worth mentioning, please send me a tweet or let me know in the comments section below. Photo credit: rmlack22 on Flickr. If you search Google to find out the total number of hours that the average American spends watching television, you will find that the estimates vary by the source of the data. However, no matter what source you turn to for this estimate, it is very clear that Americans still spend a lot of time watching television. And, unless you live under a rock, you know that more and more people are using social media. In fact, according to a recent Nielsen study, titled “State of the Media: The Social Media Report Q3 2011,” nearly 80% of active Internet users visit social networks and blogs. The Nielsen study also found that of all the different types of activities that can be performed on the Internet, Americans spend the most time on social networks and blog sites. In fact, social networks and blogs account for 23% of the time spent online, more than double the amount of time spent on the number two category. As mentioned, Americans still spend a lot of time watching television. And, according to Forrester Research, the amount of time that we spend online has increased in recent years. So, does this mean that we are spending less time doing other things? The answer to that question in some cases is: Yes. According to an article that was published on June 23, 2011, on online.wsj.com, titled “Leisure Trumps Learning in Time-Use Survey,” the number of hours that Americans spend working has decreased in recent years. The article also points out that in the same time frame, the number of hours that Americans spent watching television and sleeping has increased. 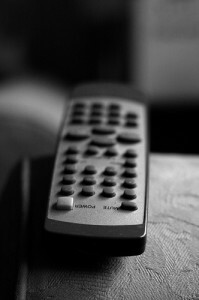 A blog post published last year on blogs.forrester.com, titled “US Consumers Now Report Spending Equal Time With TV And The Internet,” has further insights into where people are finding the time to watch television and surf the Web. The fact that more people are consuming content from multiple media channels simultaneously is noteworthy. 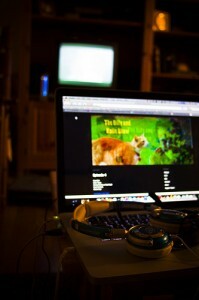 Another post on blogs.forrester.com, titled “The Data Digest: What Are People Using Their PC For While Watching TV?,” lists some of the online activities that people participate in when they watch TV and use a PC at the same time. While the top four activities that people are doing with their computers while watching television have nothing to do with what they are watching, the news isn’t all bad for the television networks. And third, 44% say that they email, chat and visit social networking sites on topics that are not related to the TV show that they are watching. This is a very interesting figure. If you have been on social networking sites for any amount of time, you know that if some event is happening that catches someone’s attention, they are going to talk about it. So, if a television program is good, it is going to generate some chatter on social networking sites and drive people to watch the program. Therefore, the 44% of the people watching television and using a PC at the same time who email, chat and use social networking sites to talk about things other that the television show that they are watching can be drawn back to the television with just one email, tweet, post or comment on a social networking site. In the video, Gary Vaynerchuk, founder of VaynerMedia and a New York Times and Wall Street Journal best-selling author, talks about how social media is helping increase television ratings by bringing the virtual water cooler to your PC, laptop, tablet or other mobile device. I think he makes a very good argument. People are still watching a lot of television and more and more people are using social networking sites. Furthermore, people are spending a lot of time doing both activities, often at the same time. Given the fact that social media can influence what people watch on television and television can fuel the conversations on social media sites, in my opinion, these two mediums are helping each other make the viewers’ television experience more enjoyable and social. In the end, that’s a win for everyone. Photo credit: Kolin Toney on Flickr. Every so often, someone writes an article that focuses on cable television cord-cutting. These articles tend to focus on the negative financial effects that it will have on the cable companies. However, I don’t think we should focus on cable television cord-cutting at all. Rather, when it comes to video content, I think that the focus should be on providing great video content via all of the delivery channels that are currently available. Let’s face it, technology advances and people move on to the next thing. The next thing is the real story. If these executives are correct, the biggest winners could be the people who consume the content. The increased flexibility to watch what you want, when you want to watch it, definitely sounds appealing to me. A recent article on huffingtonpost.com, titled “Cable and Satellite TV Lose Record Number of Subscribers,” by Peter Svensson reports that Americans are canceling or forgoing cable and satellite television subscriptions in record numbers. Although Glen Britt, CEO of Time Warner Cable, Inc., downplays the effect that Internet video currently has on the number of cable television subscribers, in the long run, it will probably have a much larger effect. According to the post on huffingtonpost.com, anecdotal evidence suggests that educated people who are not interested in watching sports are finding it easier to live without cable. The article also points out that cable and satellite television providers are taking steps to discourage people from canceling their cable or satellite television subscriptions. Any good businessperson knows that one of the best ways to be successful is to meet the needs of your customers. If your customers want the flexibility to watch content on their terms, then that is the need that cable companies are going to need to meet. Technology is rapidly changing the world that we live in, including the way that we consume video content. If cable companies, content producers or advertisers try to live in the past, and not adapt to the changes that are happening around them, they might be able to make some money in the short term. However, in the long run, change will happen and someone will offer the content that their customers crave, when and where they want it. If cable companies are forward thinking, and are ready to meet the needs of their customers, they should be able to find alternative ways to monetize what they do. And, if they don’t, someone else will. Photo credit: bruce-asher on Flickr.